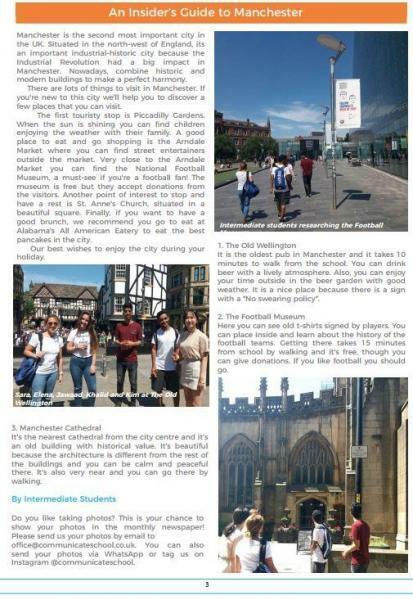 Welcome to our newsletter for August. 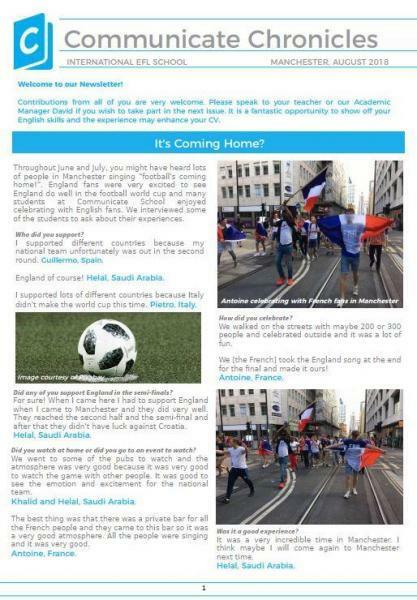 In this month’s issue you’ll find some great photos of French celebrations after their World Cup win, as well as an interview with teacher Caterina and some brilliant texts written by students from different classes. As always, there is also useful information about school updates and student of the month. 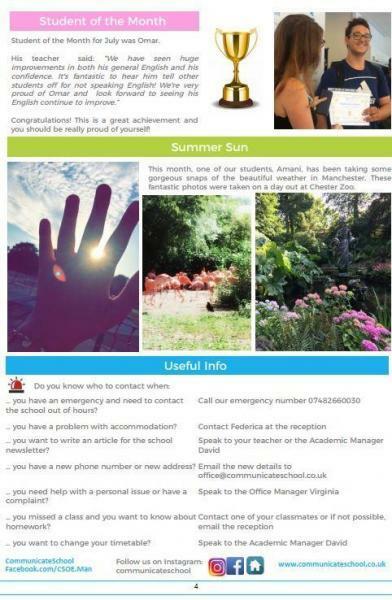 Want to see your photos in next month’s newsletter? 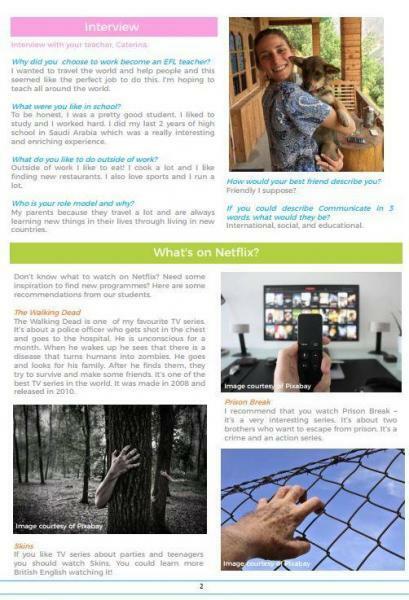 Fancy writing an article? Email office@communicateschool.co.uk to be a part of it! This entry was posted in Learn English, News, Social, Uncategorized. Bookmark the permalink.